NASA is sending a satellite to the surface of a Massachusetts-sized asteroid that is completely made of metal. Scientists say that if its nickel-iron ore could be mined, it would be worth trillions. 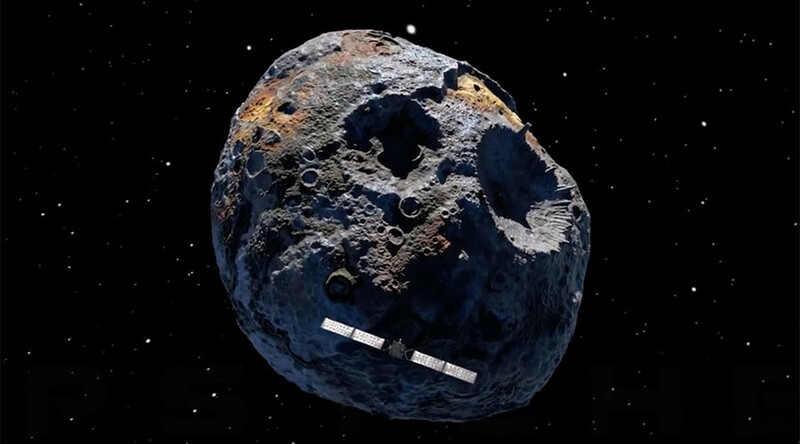 NASA has funded a mission, which will be led by a group of scientists from Arizona State University, to send a satellite to investigate the surface of the asteroid, Psyche. The mission, which is scheduled to launch in 2023, but will not reach the asteroid until 2030, will be the first craft to explore the metallic asteroid, an extremely rare object in the solar system. Scientists believe that Psyche is actually a ‘protoplanet,’ or the exposed core of a former plant. As the only round body in the solar system completely made of metal, scientists think that Psyche could have been a planet the size of Mars that was left with only its core after thousands of collisions with asteroids stripped its surface away. Scientists hope that Psyche will provide insights into how Earth’s core and the cores of the other planets were formed. “This is an opportunity to explore a new type of world – not one of rock or ice, but of metal,” principal Psyche investigator Lindy Elkins-Tanton said in a news release. “Psyche is the only known object of its kind in the solar system, and this is the only way humans will ever visit a core. We learn about inner space by visiting outer space,” she noted. Businesses are also interested in the metallic asteroid as a mining opportunity, which Jean-Jacques Dordain, director-general of the European Space Agency, says could become “a market worth trillions,” according to the Financial Times. The nation of Luxembourg has already announced that it will open a €200 million fund to entice companies that want to start mining operation on near-Earth objects. “We know how to get to asteroids, how to drill into them, and how to get samples back to Earth,” Dordain told the Financial Times.